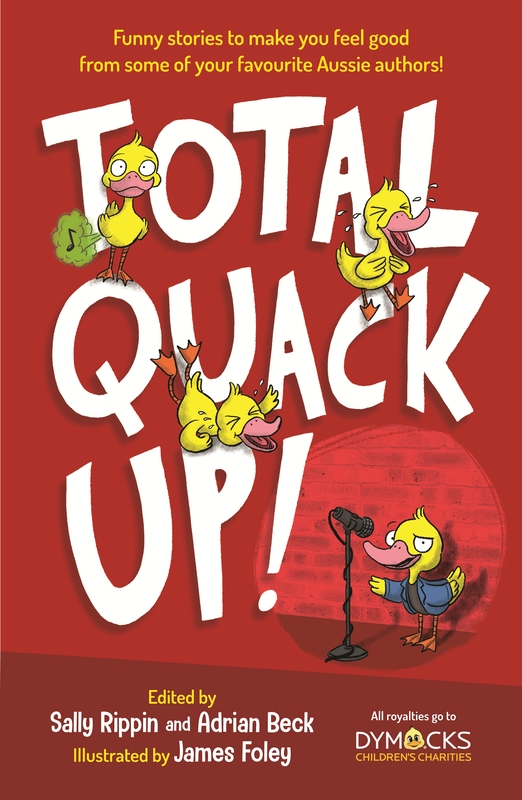 This collection of short stories from some of Australia’s funniest children’s authors will have everyone in the family quacking up! Authors Sally Rippin and Adrian Beck have gathered together an awesome line-up of writers and their funniest stories. Not only will the stories make you laugh out loud and feel good, royalties from sales of the book go to Dymocks Children’s Charities – so you can feel extra good! Total Quack Up! features stories from Deborah Abela, Tristan Bancks, Adrian Beck, Jacqueline Harvey, Paul Jennings, Alex Miles, Oliver Phommavanh, Sally Rippin, R.A. Spratt and Matt Stanton, plus a prize-winning story from a child, and illustrations by James Foley (me! ).